In a not so surprising runaway victory The Dark Lord of the Sith: Darth Vader dominated the 1970's Icons of Cinema Showdown round #2 for the 1970's. 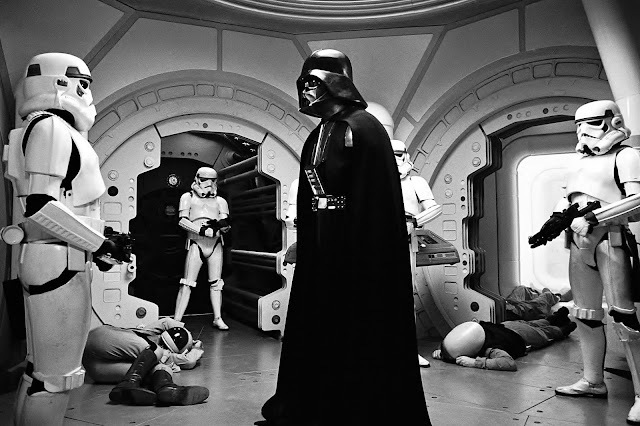 Vader took in an impressive 72% of the vote besting The Italian Stallion Rocky Balboa who came in second at 15%, Christopher Reeves Superman at 3rd with 13%, and the disappointing Linda Blair's Regan from The Exorcist who could not manage to conjure up a single vote. Vader now moves on to the 1970's final round where he is the favorite to beat Bruce The Shark from Steven Spielbergs's 1975 classic Jaws.